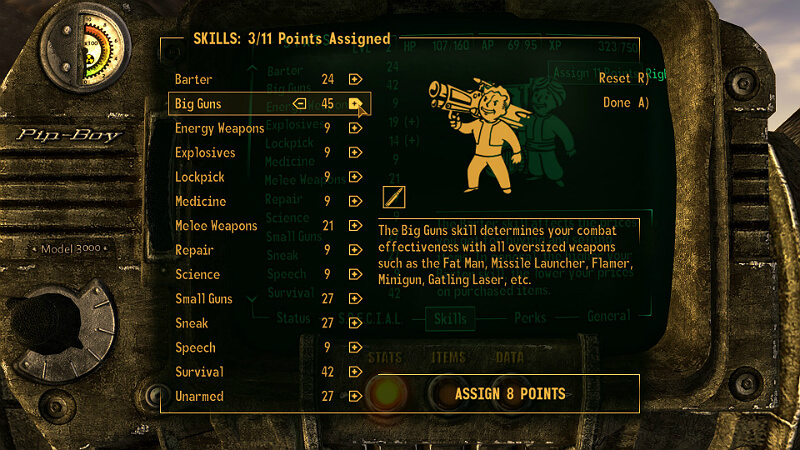 So many skills, so few skill points. 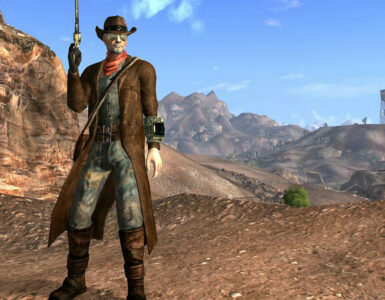 Fallout: New Vegas is all about hard choices, and the distribution of skill points when you level up is certainly one of them. 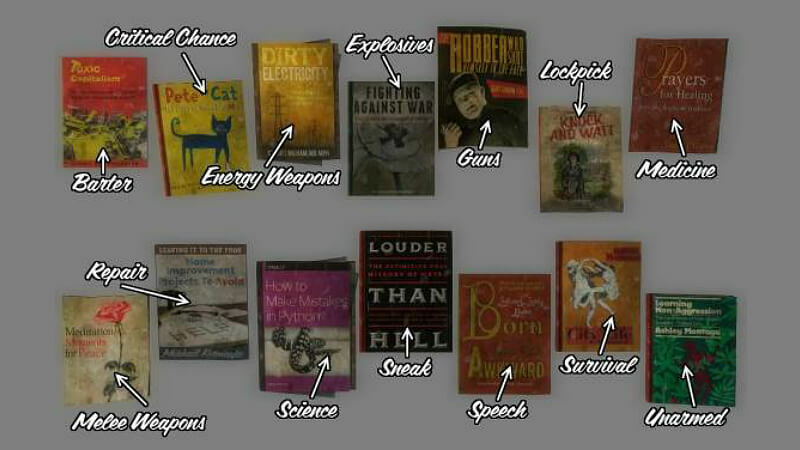 Thankfully, there are a number of skill books scattered around the game world, which you can use to pump up previously neglected stats. Look below for our complete list, organized by book. 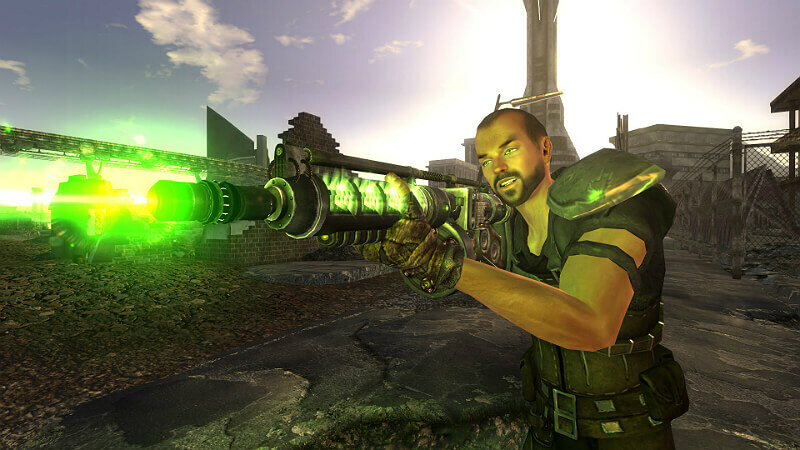 Vault 22 – Pest Control: head north of the steps from the elevator, into the lab room. On the table with bubbling vials. Allied Technologies Offices: In the room to the west of the entrance room, in the Southwest Corner. Cap Counterfeiting Shack: On the suitcase by the bed, in the back room of the cellar. Primm: Inside the Bison Steve Casino, on the floor behind the gift shop counter. Marked Men Supply Outpost Basement (Lonesome Road): On a counter, next to a big pile of gorey human remains. Salida del Sol (Dead Money): On a wooden shelf, under the Sierra Madre Host Services Network terminal. 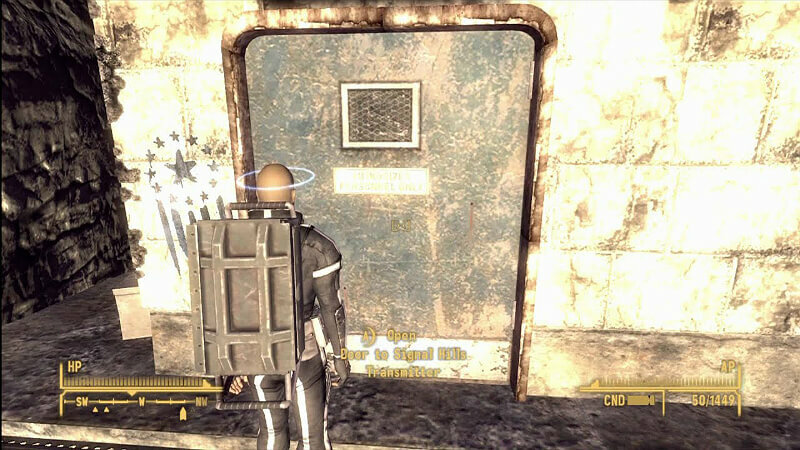 REPCONN HQ: Inside the locked shipping room with the collapse ceiling. On top of a safe on the floor, in the corner. REPCONN HQ: On the second floor, in the northeast server room, on the table with the terminal in the far corner. Hidden Valley: In the white plastic bin by the desk in Schuler’s office, in Bunker L1. Old Nuclear Test Site: On the small table opposite the entrance, inside the irradiated shack. 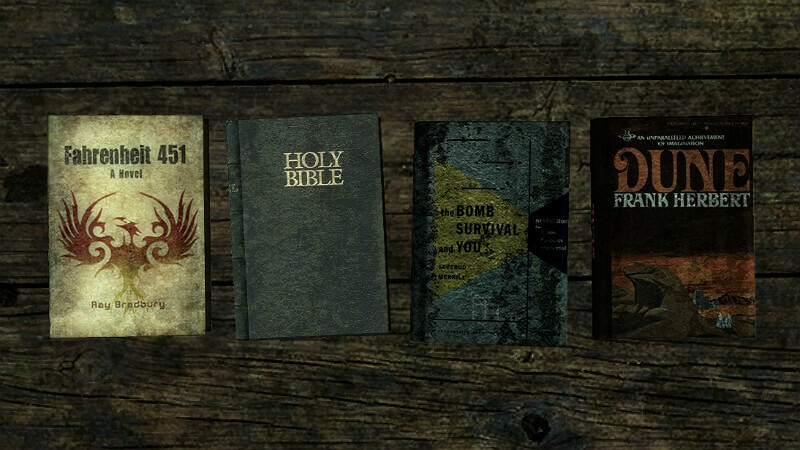 Hopeville Missile Base HQ (Lonesome Road): On the bottom rung of a wooden shelf to the right of the entrance, under a burned book. Nellis AFB: Inside Mother Pearl’s barracks, on the bookshelf. Sloan: Inside the small barracks shack, next to the trailer, on the left locker shelf, near the bunk beds. Mojave Outpost: Inside the bar and barracks building, on the bottom shelf, in the middle below the bar counter. Ranger Station Foxtrot: Inside the tent. Collapsed Overpass Tunnel (Lonesome Road): Inside a metal box with a teddy bear, next to a toolbox. Gomorrah: In the Zoara Club, on the first low bookshelf, to the left of Big Sal’s office. 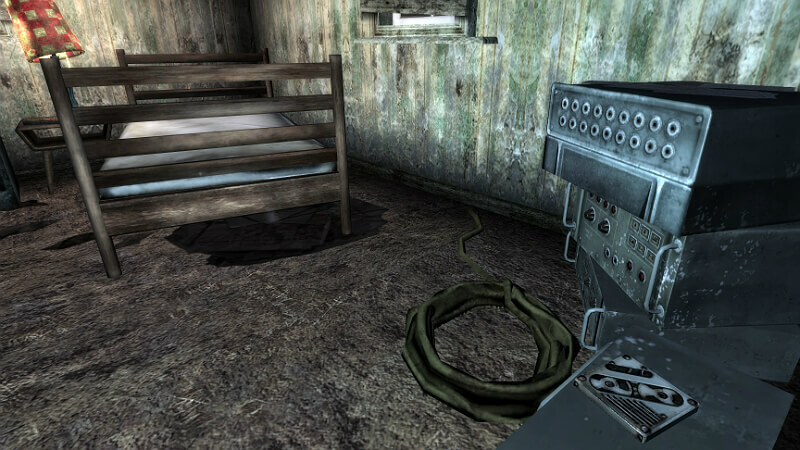 Raul’s Shack: IN the small wooden crate on the floor, at the foot of the metal shelves, to the left of the entrance. 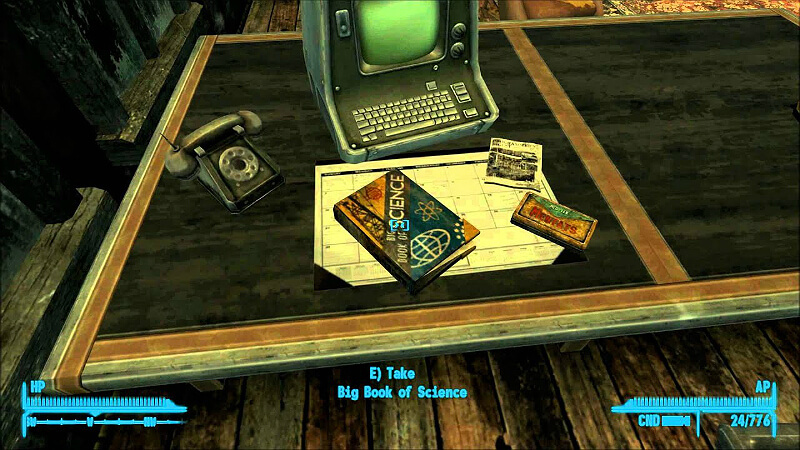 Vault 34: On the small metal table between the sofas by the pool table, in the Armory Common room. Follow the sign after descending. Nevada Highway Patrol Station: In the first room you come to after the entrance, on a desk near the door that leads to the cells. Hopeville Armory (Lonesome Road): Under a metal desk with a typewriter on it, by a single bed. Sierra Madre Casino (Dead Money): On the floor behind the hologram cashier’s desk. Silver Peak Mine: Inside the shack, behind the two small tables, on the bottom of an open locker, to the right of the entrance. Bitter Springs Recreation Area: Inside the office shack to the west, on the desk in the smaller of the two rooms. The Prospector’s Den: Inside the cave system, in the subterranean section, in the barracks room, on the floor in the far right corner. Wolfhorn Ranch: Inside the farmhouse, under the door-less refrigerator. Hopeville Men’s Barracks (Lonesome Road): Under an upturned wooden crate in the restroom. Sierra Madre Casino (Dead Money): On top of a metal tool cabinet, in one of the third-floor offices with an Mk I Auto-Doc. Follower’s Safehouse: On the bedside table shelf, in the second room. Mesquite Mountains Crater: Inside Hell’s Motel, below the globe with the hat on it, on the table with the Repair Kit and Radio. 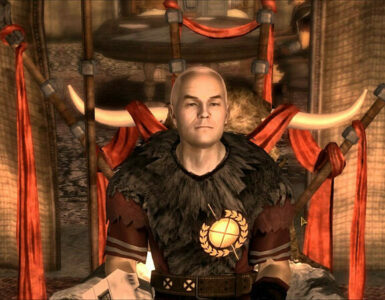 HELIOS One: On the bed with the pillow, in the room with the Holotape password, on the very top floor — cross the planks to get there. 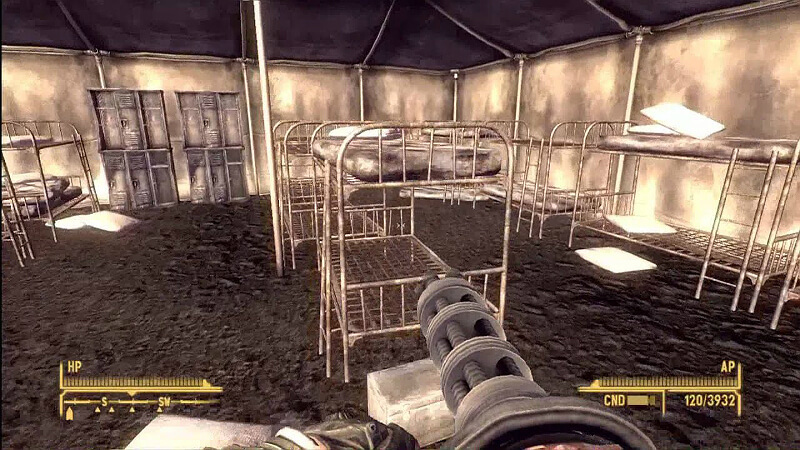 Novac: In the middle of the queen-sized bed, inside Ranger Andy’s motel bungalow. Buried Buildings (Lonesome Road): Under a static hotel desk, next to a queen bed. Villa Clinic Basement (Dead Money): On a metal tool cabinet, next to a workbench. Jacobstown: On the floor next to the cooker, inside the eastern bungalow, near the pond. Cannibal Johnson’s Cave: On the sleeping mattress near the ham radio, close to the campfire. Hidden Supply Cave: On one of the cave’s large metal crates. Cottonwood Cave: Inside the Headquarters building, on the upper floor, on the bedside table’s shelf. Hopeville Women’s Barracks (Lonesome Road): On a wooden end table in the restroom, under a burned book. Villa Police Station Basement (Dead Money): On the floor next to some filing cabinets, in one of the storage rooms. Nellis Air Force Base: Inside Loyal’s workshop shed, on the long metal counter. Sloan: Inside the barracks, on the shelf between the Dino Toy and the Radio. Southern Nevada Wind Farm: Inside the shack, on the table with the clipboard. Abandoned BoS Bunker: On the metal sill, opposite the Reloading Bench, inside the office area. Hopeville Missile Silo (Lonesome Road): Near an overturned metal desk and a large metal plank. Puesta del Sol Switching Station (Dead Money): On the floor next to a corpse and a Sierra Madre Audio Subsystem terminal. Brewer’s Beer Bootlegging: In the basement of the shack, on the table with the chemistry equipment. REPCONN Headquarters: Inside the HQ, on a shelf in the Gift Shop store-room. Nipton: On the mayor’s desk, on the top floor of the town hall. Camp Forlorn Hope: Inside Major Polati’s tent, on the desk in the far right corner. Ashton Missile Silo (Lonesome Road): In a corner, on a rubble pile next to burning debris. Y-0 Research Center (Old World Blues): On the ground next to a skeleton and a duffle bag. 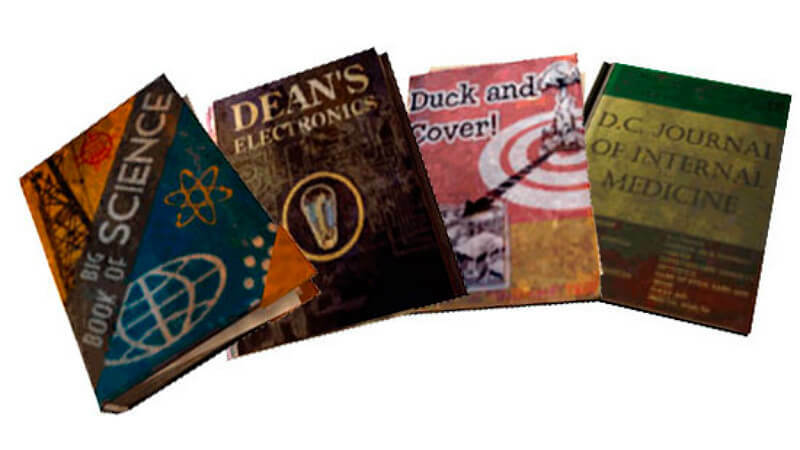 Sierra Madre Casino Executive Suites (Dead Money): On a wooden bookcase in a lounge room, among many pre-war books. NCR Sharecropper Farms: In the ranch house near the four fertilizer hoppers, by the corner desk. 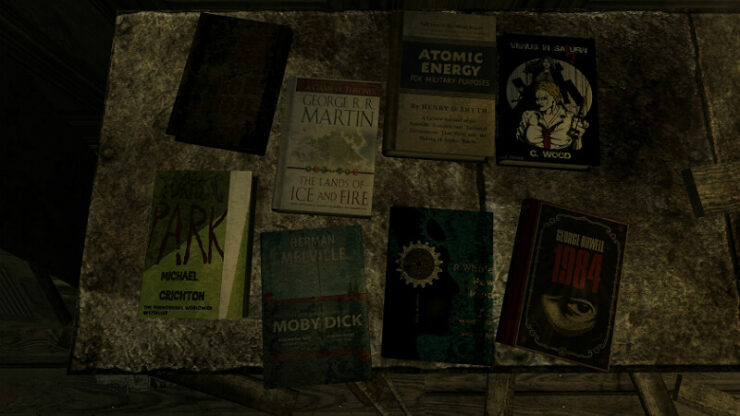 Vault 3: On the low bookcase, inside the executive dorm. 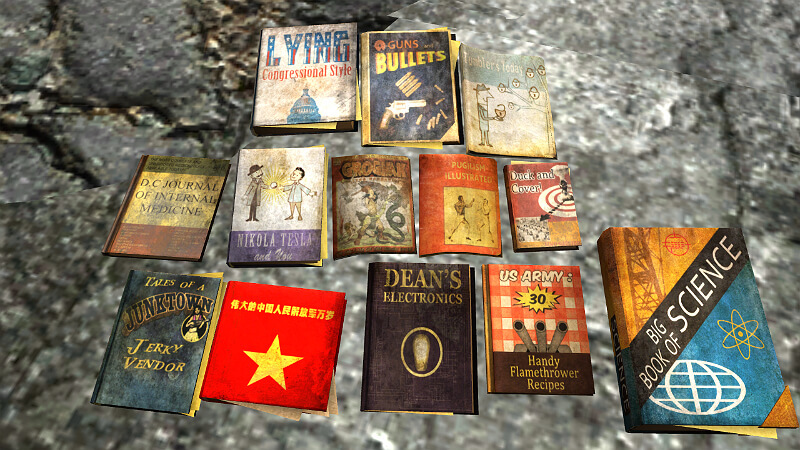 Goodsprings: Under a book in the low bookcase, inside the ranch house just east of the schoolhouse. Camp Searchlight: In the east chapel, inside the Gecko-filled basement, on the stone floor, at the foot of the metal shelves. 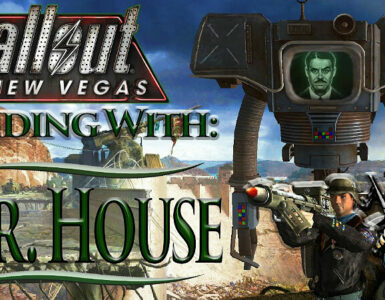 X-13 Testing Facility (Old World Blues): On the ground next to the mannequins displaying stealth armor. Puesta del Sol Switching Station (Dead Money): On the edge of the utility catwalk platform. Brooks Tumbleweed Ranch: On an open locker shelf, in the upstairs room with the chessboard. Cerulean Robotics: On the floor among the desks in the office. 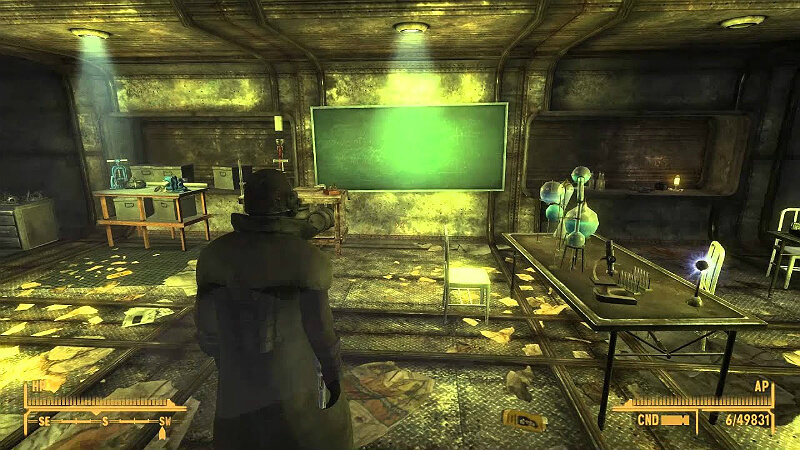 NCR Correctional Facility: In the Administration Building, on the desk in the darkened room opposite Eddie’s room. 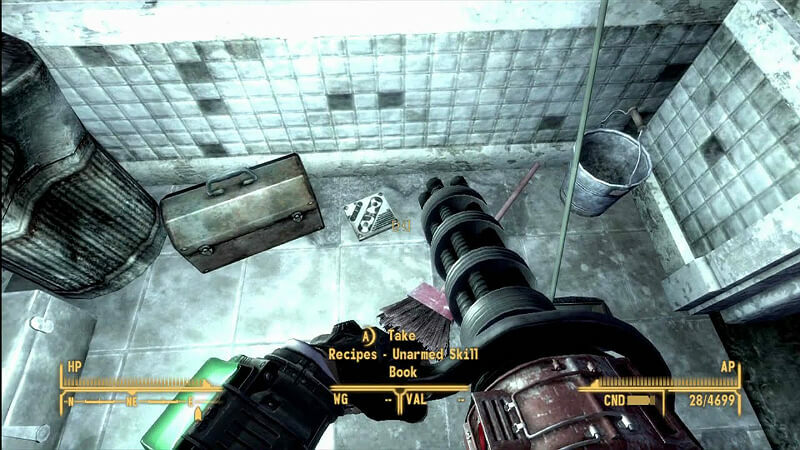 Lucky Jim Mine: Inside the shack, below the Varmint rifle, to the right of the empty fridges. The Divide (Lonesome Road): In an open-air destroyed office, on the floor between a metal desk and some filing cabinets. The Tampico (Dead Money): On a metal shelf next to a blocked-off door. Scavenger Platform: On the Northern Platform section, among the other books by the fallen metal shelf. Lone Wolf Radio: Inside the radio trailer, near the Scrap Electronics and mattress. Mesquite Mountains Campsite: Inside the westernmost tent, behind the rolled-up bedding. Matthews Animal Husbandry Farm: Top balcony of the northern barn, near the barrel. Waste Disposal Station (Lonesome Road): Among the many radioactive barrels, next to a skeleton resting on top of one. The Tops Casino: On a small table near the pool tables, in the Presidential Suite. Fisherman’s Pride Shack: On the bedside table inside the shack. Nipton Road Rest-stop: Inside the store marked “Lester,” on one of the wooden bookcase shelves. Vault 11: Inside the living quarters, in Female Dorm #1, by the fallen dresser. Wastewater Treatment Plant (Lonesome Road): In a corner, behind several rusted lockers by a blocked door. 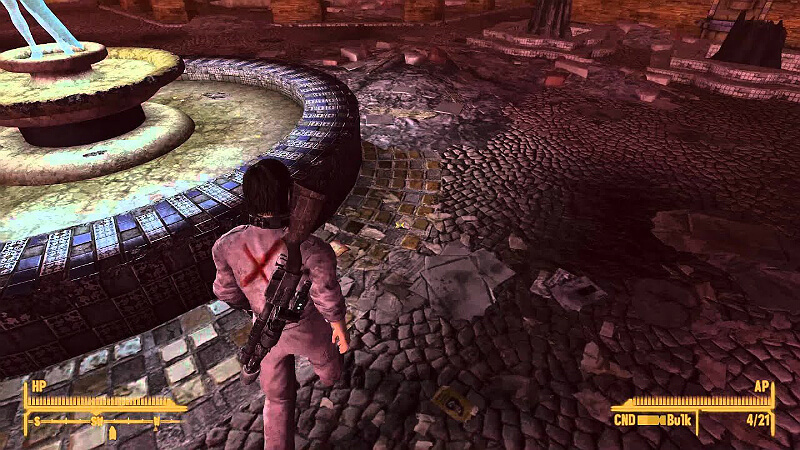 Sierra Madre (Dead Money): On the ground, next to the fountain.